I found a new eyebrow product I love! I saw this product originally on Instagram. Immediately I wanted to get my hands on this product. Everyone has been ranting and raving about Anastasia Beverly Hills Brow products lately, although I’ve wanted to try those products for myself, I just couldn’t part with my money to jump on the band wagon. I know, it’s not that expensive, but I’ve been operating on a budget I must maintain for several reasons. I have used several different brow products in the past, but the NYX Eyebrow Gel may just be the winner of all the products I’ve used previously. Currently I am using Espresso on my brows. Esspresso was the only one they had available in my local Ulta. I was desperate to give it a try, although I would like to try a Chocolate (Because my hair is a reddish brow), Espresso works well for me at this moment. The NYX Eyebrow Gel is water proof, long lasting, and smudge proof. It reminds me of the Makeup Forever Aqua Brow. I haven’t used it necessarily (I can’t bash it or compare it), but the idea is the same. It (MUFE Aqua Brow) also claims to be waterproof, long lasting, and smudge proof. Considering my budget, MUFE Aqua Brow couldn’t make it into my personal makeup collection. The good news is NYX Eyebrow Gel made the cut. Since using this product, I have learned a little goes a long way. You only need a small amount of this product for your eyebrows. I don’t use this gel to start the sculpting of my brows. I use my brow pencil. I use the NYX Eyebrow Gel to fill in my brows. Using my angled brush (it needs to be stiff), I start on the tail end of my eyebrows. I apply the product in the direction of hair growth. Whatever is left on my angled brush I apply to the front of my brows using upward strokes (the direction of hair growth). I use my spoolie brush to brush the product through and finalize the eyebrow. Don’t worry, I’m headed back to YouTube, there will be a tutorial. The product dries quickly, there is no time for being slow with this process. 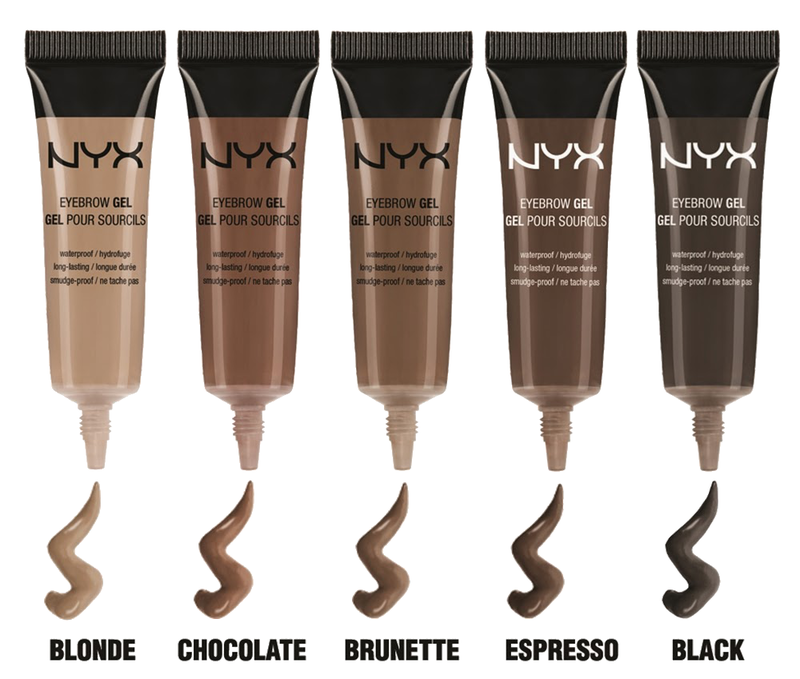 I love the NYX Eyebrow Gel because it’s true to its claim as a product. It’s water proof, long lasting, and smudge proof. I don’t have to worry about my eyebrow becoming “greasy” at the end of the day, and if it rains, they stay intact. Okay, so I’ve never been caught in a rain storm to prove that much, but it does take a good rub down to clean my eyebrow product off at the end of the night. The product is super affordable and fits my budget! No overspending and No buyers remorse. I would suggest you pick up this product and give it a try! It’s great for your personal use and your makeup kit ladies. They have an array of shades to choose from to match your hair color. You won’t be subjected to choosing from a limited number of shades. You can purchase this product in store or online via the company website. In the picture below, I used the NYX Eyebrow Gel to fill in my brows. Need to know more about eyebrow sculpting? Check out these posts and video! 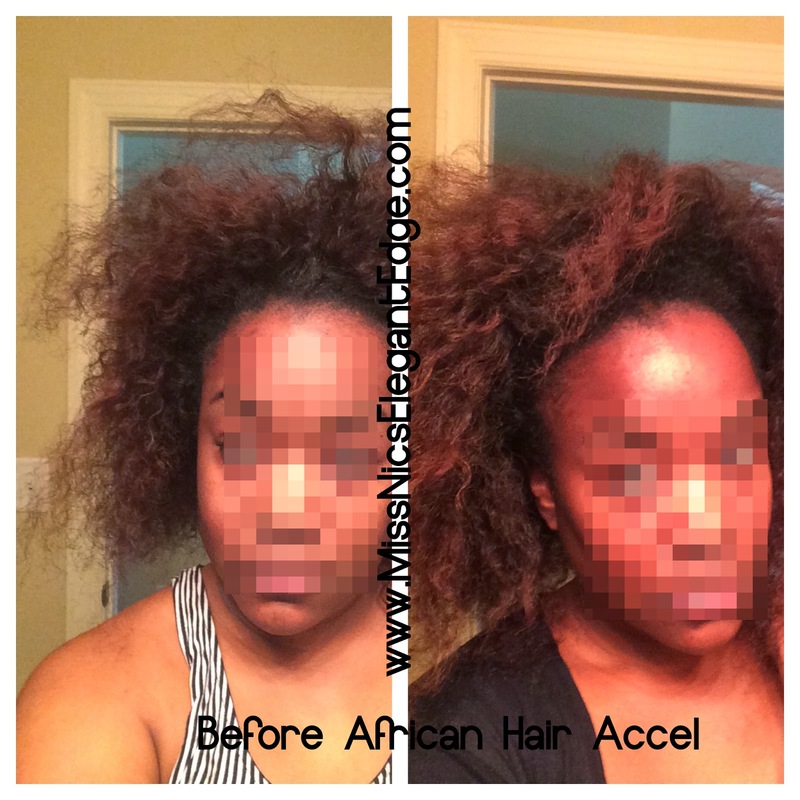 I promised an update on my journey with African Hair Accel. My first thoughts of these hair vitamins are still the same. I must admit, I have not been consistent with taking three pills per day. The maximum has been two. The reason for this is my eating schedule has been off. I’m going to get it back on track (don’t worry). I currently have my hair in Senegalese Twists as a protective style. Therefore, I won’t be able to give my final update until after I take them out. However, I wanted to give you a brief update before my final update. 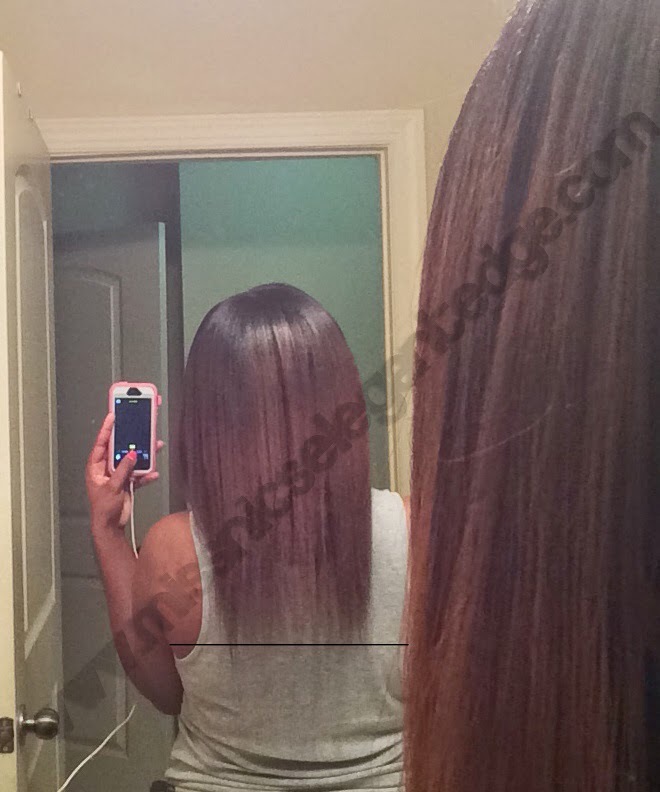 My hair is relaxed with permanent color on it, which has grown out to the ends. I have been experiencing breakage and dryness. I moisturized my hair daily and kept it rolled up in hair rollers to keep me from having to style it daily. It worked out well, I was able to avoid heat styling and save time on my hair in the morning. Despite the fact I was moisturizing before rolling my hair, my hair was still dry from the color. Dryness equals breakage. I deep condition every week and for some strange reason my hair just wasn’t having it (I switched up my products, review coming soon). I put the Senegalese Twists in my hair once more, along with the fact I love them so much, to protect my hair from further breakage and to help with growth. Due to the breakage on the ends of my hair, it appeared that my hair had gotten shorter than my starting length on the pills. I’m not altogether sure what was going taking place, but my hair just wasn’t cooperating for some reason. 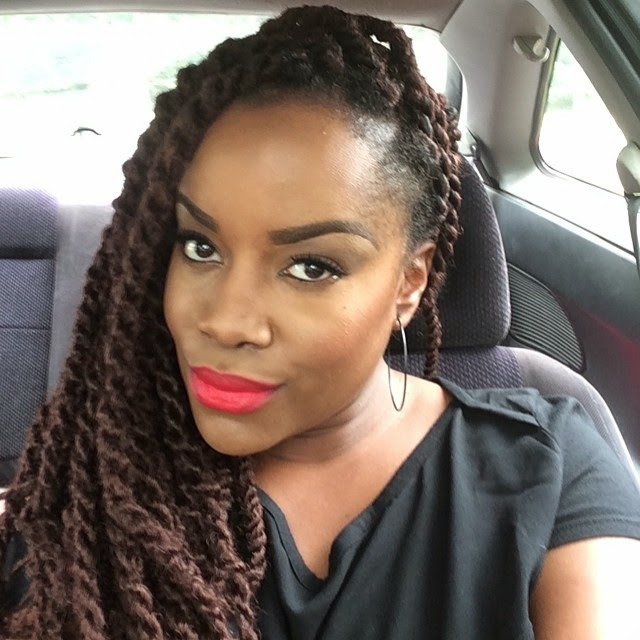 I will know for sure once I take my hair out of these twists whether or not my hair was just being resistant to the vitamins or simply shorter from breakage. I will note, my roots did appear thicker because I just kept thinking my relaxer retouch went south. Therefore, I really can’t say for sure the vitamins aren’t working. I experienced a few breakouts on my face, but they weren’t excessive or too bad to handle. I was able to manage them effectively. The key to keeping the breakouts under control is drinking plenty of water. Below is a picture of my starting point and my hair length before I decided to twist up my hair. This journey is still in progress, I will let you know what my end results are. I will say this, my hair does look thicker in the pic on the right. Check back soon for more updates! I’ve been using the LA Girl Pro Concealer since it was introduced by others from the Youtube Beauty Community. I have developed a relationship with my LA Girl Pro Concealer and I must say, she’s here to stay. I had to review this product and give my personal thoughts and insight on the product to let you know just what I think about the concealer and why I there will be a lasting relationship with the concealer. I love several different things about this concealer. 1.) The LA Girl Pro Conceal concealer has a great creamy consistency. It’s not drying and it’s not greasy. The good news about this product is you won’t have an ashy look, and it won’t (what I like to call) cook up on your skin giving you a shiny/oily appearance. It’s just right in regard to consistency. 2.) When applied correctly (using the right tools and setting powder), it won’t separate or crease. 3.) It’s super blendable and can be used to mask any blemishes or dark spots on my face.4.) Gives a light to full coverage look (it’s buildable). 5.) At the end of the day, it’s still intact from early morning application. I have combination skin, depending on the weather, my face can become extremely oily or extremely dry. 6.) SUPER AFFORDABLE. Who would have thought a product valued as low as $1.99 would be this great? The consistency of the concealer works well with both all skin types (oily, combination, dry). There is one thing in particular that I don’t care for regarding this product. That one this is the applicator brush tip. The upside to the applicator is the overall ability to help you control the product, you will get the correct amount needed for application. Despite this upside to the applicator, it takes forever for it to come to the top of the tube. I find myself having to squeeze hard enough to get it to come to the top of the applicator. I’m not sure if it’s due to a faulty tube or just me. Many have said that the LA Girl Pro Conceal is comparable to the MAC Pro long wear Concealer. I use the MAC Pro long wear Concealer just as much as I do the LA Girl Pro Conceal. Both offer amazing coverage. They both are great for covering blemishes and dark spots, both offer buildable coverage, and both dry matte. 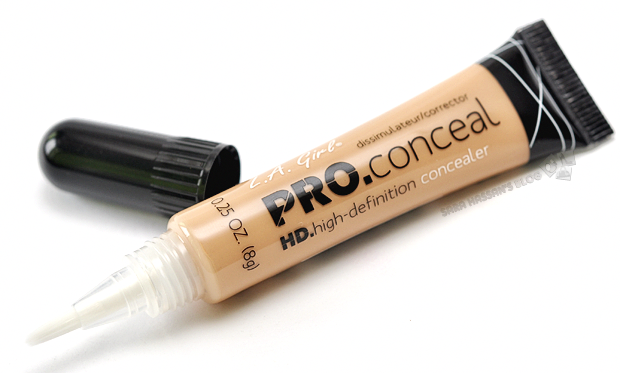 I was actually able to find a dupe for my Pro long wear with LA Girl Pro Conceal. I use MAC Pro longwear in NC45 and my dupe in LA Pro Conceal is Toffee. However, even though there are some similarities, there are some differences. I have found that the Pro Longwear concealer stays put. Once it dries, it’s there to say until you wash it off. You have to hurry up and apply it to the skin, if it dries before you finish manipulating it you will have to reapply. Compared to the Pro Conceal the consistency and texture is different. Pro Longwear is more of a liquid consistency than the Pro Conceal which offers a creamy consistency. I apply the LA Girl Pro Conceal using the applicator brush tip on the areas necessary to give a fierce contour. After I apply the desired amount of product I use my elf stippling brush to blend the concealer out on to the face. I have used a makeup sponge in the past, but I have seriously become attached to my elf stippling brush. To finish the concealer I use a makeup sponge to apply my Ben Nye Banana Powder to set the concealer. The LA Girl Pro Conceal HD Concealer has a permanent home in my personal makeup collection and my client makeup kit. I love that it’s easy to blend, easy to manipulate, perfect for all skin types and complexions, dries matte, covers my blemishes and dark spots, super affordable (fits all budgets) and the overall consistency and texture of the product is great. I was happy to find a dupe for my MAC Pro longwear concealer. Everyone should have this product in their collection. 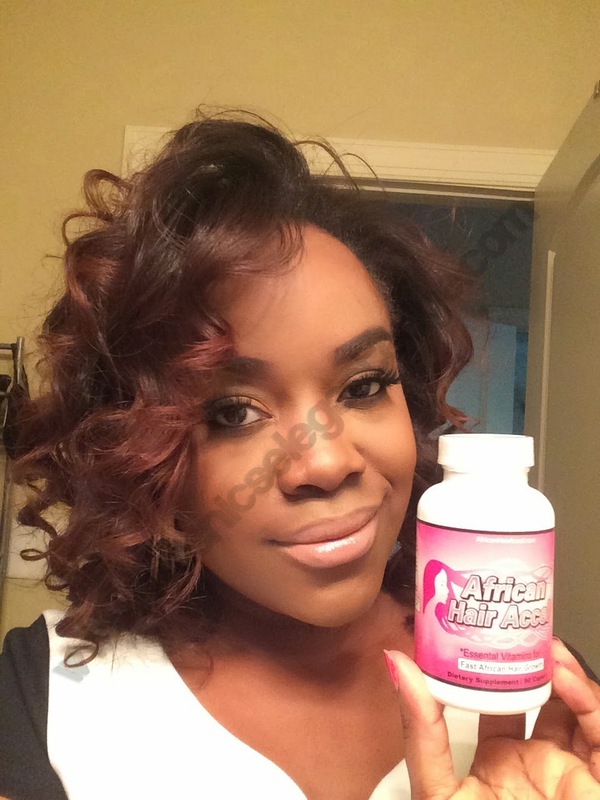 You can purchase this product online or from your local beauty supply store. You can buy individual tubes, or you can purchase all shades (for my MUAs out there). What are you waiting for? If you don’t have it, GO GET IT!! 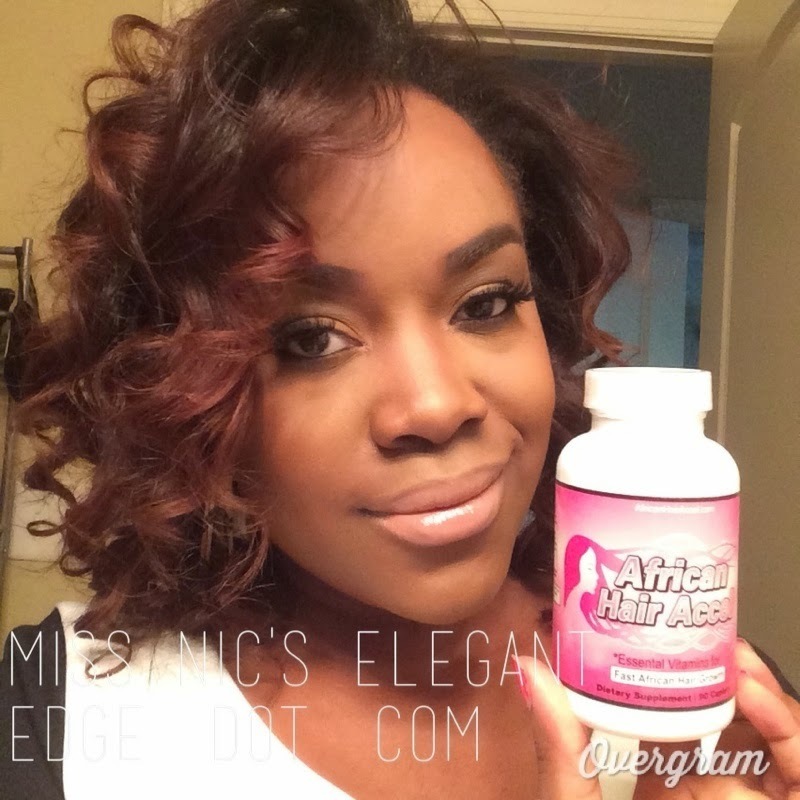 I just started this awesome relationship with African Hair Accel. Hair Vitamins that will help me to continue growing my hair long and healthy. I’ve been doing a lot of protective hair styling for a while now to help preserve my hair. I colored my hair a while back (CLICK HERE) and I had to amp up my hair routine to keep my my hair from going into hair breakage overload. I have experienced the side effects of having colored relaxed hair, but I have been able to successfully manage it and retain length. I was introduced to African Hair Accel about a month ago. I just started taking them last week. I had my hair in Senegalese twists, and decided to wait until after I removed them to start using them. I can’t really give any full details on my experience. Hopefully after two weeks I will give a review to let you know my experience (mostly side effects). 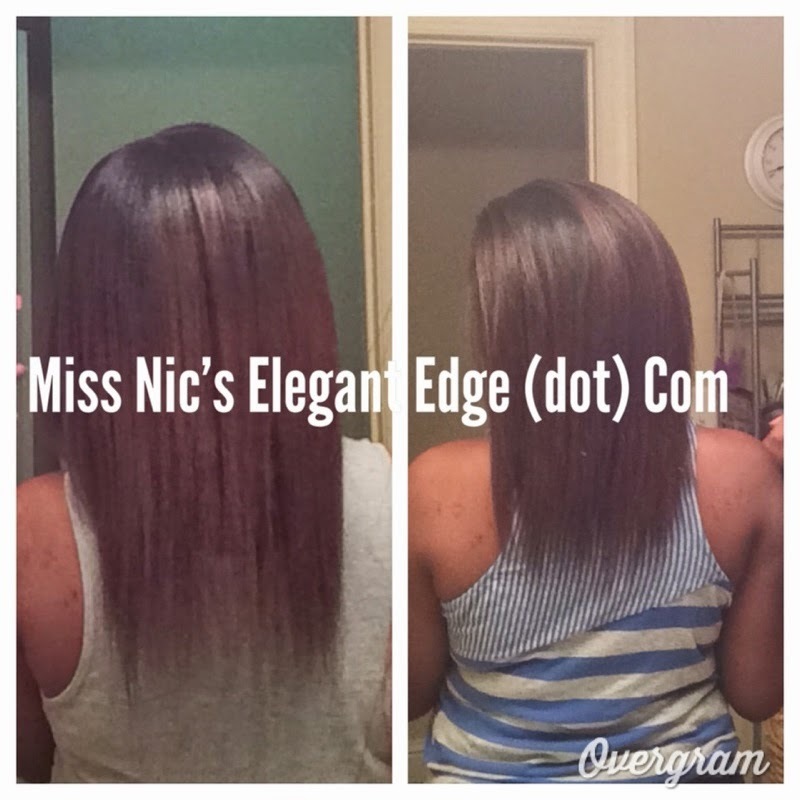 Stop hair breakage and shedding hair. I will say this. I agree with that review. I was running my fingers through my hair today and I thought dang..my hair feels ridiculously soft. I thought it was due to my recent relaxer (after a 4 mos. stretch) and conditioner cocktail, but this feels like a different soft. No product necessary. When I post another update (more than likely middle of next week) I will be able to let you know for sure if softness is a result of taking the vitamins. For more information visit the site (CLICK HERE). My hair has been growing from stretching my relaxers. I’m Back!! : Where have you been?? Hey! I know I have been MIA for the past seven months and it’s been for a good reason. I thought at one point I was going to hang up the blog and my youtube channel completely due to some things that have taken place thus far. I’m completely behind on my blog postings and I’m ready to start posting here again. There are going to be a few changes in the future for the blog and hopefully it will be a smooth transition and also beneficial to my followers and readers. I have been busy with another blog. I must admit the truth..but it’s something that is near and dear to me. Feel free to subscribe to that blog for updates! February this year I fell sick and spent five days in the hospital. I had been having really bad headaches and they were too far gone to control (I had been having the headaches for about four months before I started to get treated). After being told my headaches were allergy related and later sinus related I received antibiotics and steroid medication. Over a period of time the treatment that the doctors had given me for a sinus infection didn’t work and actually contributed to my sickness. While on the medication I started to lose my vision, looking at a computer became difficult and most all annoying. 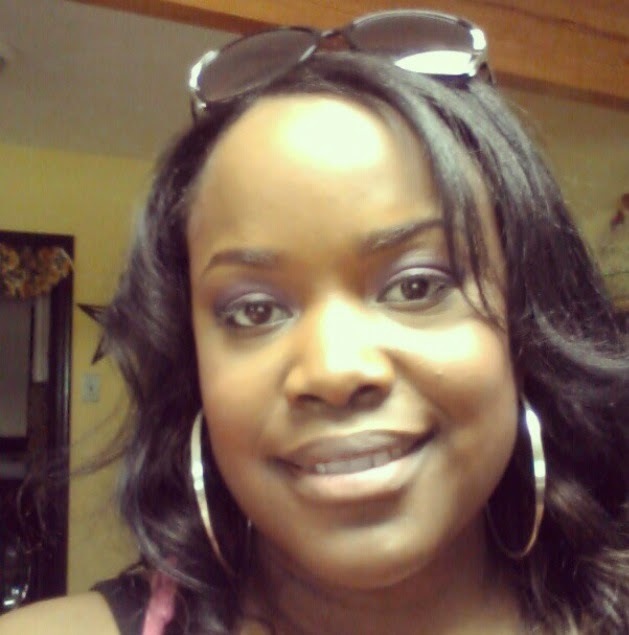 After the doctors ran, what seemed like 100+ tests I was diagnosed with Pseudotumor Cerebri . The fortunate part of this all, after being under months of doctors care (I’m still being treated), I’m doing much better and ready to start blogging and getting back to the tasks at hand. This diagnosis came about due to rapid weight gain that I had experienced during the past three years. I didn’t think I was that over weight (and others assured me that I wasn’t, while others did), but I was about 15-20 lbs shy of 200 lbs. Yep! that’s right the girl that used to weigh 120 lbs for the most of her early twenties was almost 200 lbs. So yeah..I guess I did gain a lot of weight and I would say I was in denial. I was able to lose weight, still loosing weight and I’m close to reaching my goal weight. YAAY!!! The experience itself scared me into getting healthy and taking my life serious for a change. I was content with my life as it was because I was in a relationship and I wasn’t that stick skinny girl that everyone used to “pick at” for being so thin. Gaining weight in the beginning was to thicken up a little but, in order to gain weight. My intention was not to become over weight, but it happened. I learned that if you want to gain weight you must work out anyway to maintain the weight gain. I work at a desk all day and my activity level was 10 to none. Working out has become intentional and eating healthy is mandatory. I really don’t miss the foods I used to eat before I got sick. I reach more for what’s healthy instead of what feels good to my stomach or my emotions. Yeah, I have had some ice cream and some chocolate chip cookies every blue moon, but I don’t over do it. Instead of reaching for ice cream as much, I eat yogurt and granola. Instead of drinking juice, I have fallen in love with the Arizona Green Tea sweetened with honey (one a day). No red meat, definitely no pork, limited on fried foods. I didn’t want to go completely cold turkey on all the things that make me a southern gal. Everything in moderation. Least I forget TONS of H20. We must remember ladies, the most important part of being beautiful and elegant is being healthy! Taking care of our bodies from the inside out make us feel and look better on the outside! I am back with a vengeance and if I decide to take another hiatus I will let you know especially if it’s unplanned! All pictures belong to me and are personal pictures of myself. No ‘Catfishing’ with my pics!! It’s one of my favorite times of the year! Christmas is just right around the corner and I hope you’re just as excited as I am. If you haven’t picked up any Christmas Gifts as of yet and are planning to do so this weekend. Here is a last minute gift guide! I have put together six items for my readers to help point them in to the right direction for gift giving this Holiday Season. These items are popular beauty items and well liked by the masses. There are plenty of items to choose from, but these made the top of the list. 2. Sigma Essential Brush Set. I have this set and it’s AMAZING!! You get everything from their fluffy dome blending brush, face brush, and much more it’s worth the purchase price and it lasts for a long time if taken care of properly. This set is $155.00 and can be purchased here. 3. RiRi Hearts Mac Holiday Collection Lipstick in Pleasure Bomb. Buy the whole collection and You will be loved throughout the entire year of 2014. This little tube of lipstick is $14.50 and can be purchased here. 4. Philosphy Homemade honeybuns Shower Gel (Smells Delish) This yummy bottle of deliciousness can be purchased at zappos.com for just $15.00. 5. NYX Butter Gloss (Any Shade will do). They are creamy and you can build the lipgloss to your desired shade. This has got to be least expensive product on the list. Makes for a great stocking stuffer. Pick these cute glosses up at your local Ulta retailer or purchase it online at Ulta.com for just $4.99. Can’t beat that!! There are a total of 12 shades to choose from and of course at this very moment they are buy one get one half off..so go a head and get all 12. She will thank you for it later. Creme Brule is my Favorite!! 6. Clinique 3 Step Skincare Kit. Okay, so I know you are probably thinking why would anyone want this for Christmas?? It’s an awesome product and who wouldn’t want a great skin care product during these harsh winter day. This set is $26.00 at Nordstroms. Great Deal!!! There are plenty of great gifts to choose from this Holiday Season. I just wanted to point you in the right direction. Most of these I already own and others are on my Must Have and will buy list. I hope you have a wonderful Holiday Season and a Happy New Year!! Great Things are to come for myself here at Elegant Edge!! I thank you for all rocking with me this long and I hope that will rock with me even longer in the future because I have tons of more good stuff to offer!! I was sent this lovely product a while ago and I decided not to rush myself to post a review, because I wanted to make sure I used the product thoroughly before posting a review.I have about a few good squeezes of this product left, so yeah I’ve pretty much used the entire tube. To wrap it up in one phrase. I love this product!! Unlike most moisturizers it’s not heavy and I absolutely love that about this product. It adds instant moisture and shine to my hair and it doesn’t weigh it down. That was most important to me when using this product, because when I want to wear my hair down and in s simple style I don’t want it to be weighted down or greasy. The product smells absolutely amazing and not at all over bearing. Most scented products can cause a odd smell after a few days of use, that was not the case with this product. I recently color treated my hair with permanent hair dye, and I must say this has helped to save my hair (adding daily moisture) along with deep conditioning weekly. Considering the weather is attempting to change to colder days, your hair will change as well. Colder days are going to lead to dryer hair strands. Therefore using a good hair moisturizer or keeping your hair moisturized is important and crucial. If you’ve ever wondered why your hair sheds or tends to break more during the winter months, this is why. Change in climate. Adding this product to your daily routine can help to alleviate and minimize hair breakage and shedding during the winter months. The Design Essentials Hydrience Argan Moisturizing Creme is a lightweight Argan Oil infused creme that instantly nourishes the hair, restores moisture, and strengthen strands, leaving hair soft and silky, revealing a luxurious exotic shine. 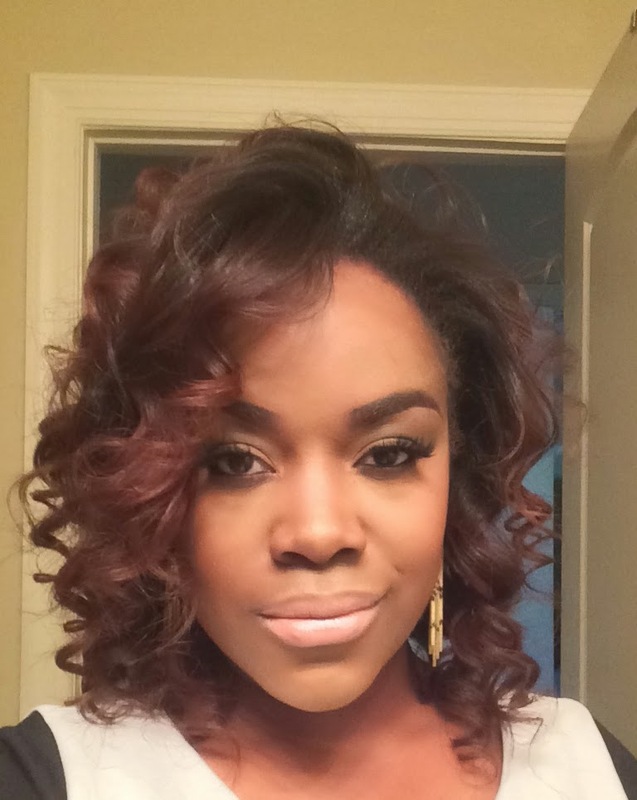 Relaxed or color Treated Hair. I use this product before adding heat to my hair, putting my hair up into a bun, or moisturizing my tresses before rolling my hair at night with my satin rollers. Here’s a quick run down of Argan Oil and it’s benefits. Get full details here. Shine (Antioxidants): Protects against free radicals, Delivers healthier looking hair, Provides UV Protection. This product retails for $11.99 on the Design Essentials Website. You can purchase it here.